In one of the first studies of its kind, nearly one-third of 10,000 older adults were prescribed opiate pain medications such as morphine, Percocet and OxyContin while hospitalized for non-surgical conditions. This course of care was significantly linked to poor outcomes such as being restrained and requiring bladder catheterization, according to research done in May 2017 by physicians at Northwell Health in New Hyde Park, NY. 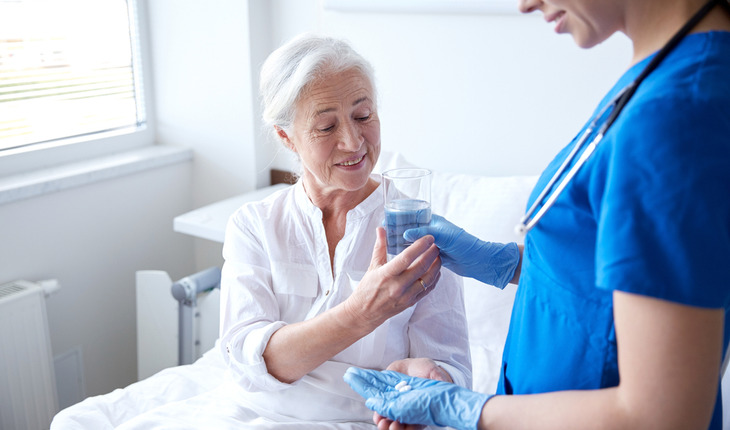 A release from Northwell notes that the study, “Opiate Prescribing in Hospitalized Older Adults: Patterns and Outcomes,” is one of a pair focusing on pain management in older adults presentated at the American Geriatrics Society Meeting in San Antonio, TX from May 18-20. With legislation in recent years governing prescription drug monitoring and the use of medical marijuana in New York State, Northwell investigators Sutapa Maiti, MD, Liron Sinvani, MD, and Gisele Wolf-Klein, MD, joined colleagues to spotlight perspectives and practices influencing these timely and contentious topics. Dr. Wolf-Klein is senior investigator of the second study, “Older Adults’ Perspectives on Medical Marijuana Use,” which found that 36 percent of seniors would be unlikely or extremely unlikely to use medical marijuana if prescribed. This reluctance exists despite 25 percent of the 93 study respondents reporting chronic pain and 43 percent using prescription painkillers in the prior month.